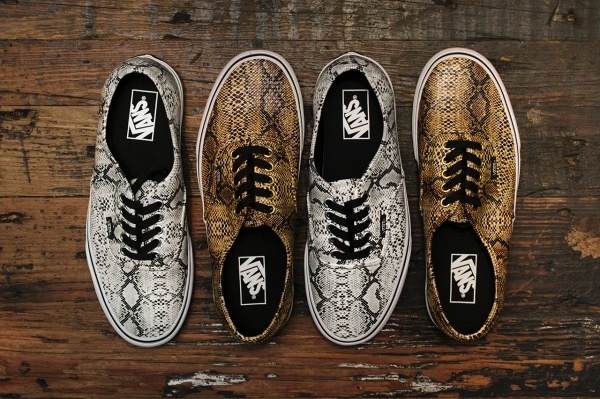 As part of their return to the ‘Classics’ for Fall/Winter 2013, Vans has released this attention-grabbing “Snake Pack” for the cooler months ahead. Featuring the Authentic in the two colorways pictured above – gold and silver – the sneakers feature a contrasting white outsole and metal eyelets to finish the look off. Best of all? You can pick up a pair of these fashion-forward kicks for only $55 USD at Vans Online Shop.